Network science is the key to managing social communities, designing the structure of efficient organizations and planning for sustainable development. 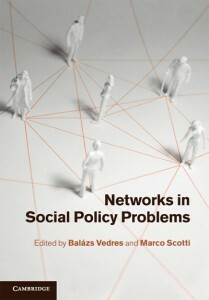 This book applies network science to contemporary social policy problems. In the first part, tools of diffusion and team design are deployed to challenges in adoption of ideas and the management of creativity. Ideas, unlike information, are generated and adopted in networks of personal ties. Chapters in the second part tackle problems of power and malfeasance in political and business organizations, where mechanisms in accessing and controlling informal networks often outweigh formal processes. The third part uses ideas from biology and physics to understand global economic and financial crises, ecological depletion and challenges to energy security. Ideal for researchers and policy makers involved in social network analysis, business strategy and economic policy, it deals with issues ranging from what makes public advisories effective to how networks influence excessive executive compensation.